Under The Influence | mummy... where does music come from? Well, of course Molly Ringwald was going to sing "Don't You (Forget About Me)" (featured here) on her 2013 singing debut Except Sometimes -- it provides the hook to draw the curious into the fold, to bring in listeners who may otherwise have never paid attention to another album of an actor singing standards. And, in most regards, Except Sometimes is indeed another album of actors singing standards, distinguished by a more-adventurous-than-usual selection of songs (Ringwald has good taste and an aversion to shopworn warhorses) and a nicely intimate vibe, suggesting a comfortable, brightly lit nightclub where smoking was prohibited long, long ago. If Ringwald wasn't well-known, odds are Except Sometimes would never have shown up on a major label, but that's no reason to hate it: it's too cheerful and slight to inspire hate. 50 Words for Snow is all new, her first such venture since 2005's Aerial. The are only seven songs here, but the album clocks in at an hour. Despite the length of the songs, and perhaps because of them, it is easily the most spacious, sparsely recorded offering in her catalogue. Its most prominent sounds are Bush's voice, her acoustic piano, and Steve Gadd's gorgeous drumming -- though other instruments appear (as do some minimal classical orchestrations). With songs centred on winter, 50 Words for Snow engages the natural world and myth -- both Eastern and Western -- and fantasy. It is abstract, without being the least bit difficult to embrace. It commences with "Snowflake" (featured here), with lead vocals handled by her son Bertie. Bush's piano, crystalline and shimmering in the lower middle register, establishes a harmonic pattern to carry the narrative: the journey of a snowflake from the heavens to a single human being's hand, and in its refrain (sung by Bush), the equal anticipation of the receiver. 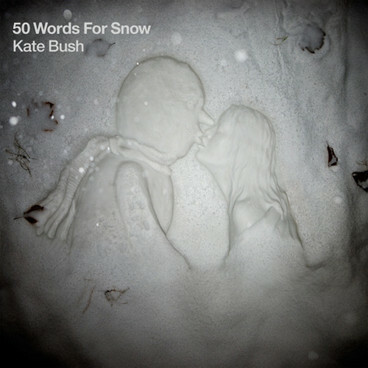 50 Words for Snow is such a strange pop record, it's all but impossible to find peers. While it shares sheer ambition with Scott Walker's "The Drift" and PJ Harvey's "Let England Shake", it sounds like neither; Bush's album is equally startling because its will toward the mysterious and elliptical is balanced by its beguiling accessibility. 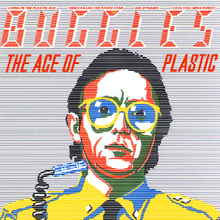 The fun, quirky single "Video Killed the Radio Star" (featured here) garnered The Buggles international attention in 1980, but it was just one of The Age of Plastic's fascinating, futuristic visions. From the title track's opening strains, Trevor Horn and Geoff Downes transform your living room into a world of Jetson-like proportions. It's a world, though, where technology is seen for what it is -- full of both promise and frightening implications. On "I Love You Miss Robot," a metaphorical love affair with a robot explores modern man's relationship to, and dependence on, technology. "Kid Dynamo"'s spirited tempo, biting lyrics, and menacing vocal track questions the loss of imagination plaguing the mass media age. The vision here is so beautifully articulated that the superb musicianship and production wizardry is easily overlooked. Paradoxically, Horn and Downes employed electronic devices (which were considered new and cutting edge in the late seventies) to create an album which, at times, spoke eloquently about their drawbacks. With The Age of Plastic, Horn and Downes stamped an indelible image in the collective pop psyche. What is equally impressive is the sound of this disc given its analog origins and 1980-release date. While hiss can be heard in some of the quieter passages, it would be difficult to find a record from this era that sounds half as good. Pop rarely reaches these heights. 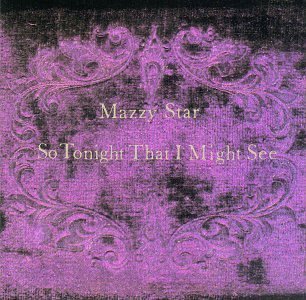 Thanks to the fluke hit "Fade Into You" -- one of the better beneficiaries of alt-rock's radio prominence in the early '90s, a gentle descent of a lead melody accompanied by piano, a steady beat, and above all else, Hope Sandoval's lovely lead vocal -- Mazzy Star's second album became something of a commercial success. All without changing much at all from where the band was before -- David Roback oversaw all the production, the core emphasis remained a nexus point between country, folk, psych, and classic rock all shrouded in mystery, and Sandoval's trademark drowsy drawl remained swathed in echo. If there's a left-field standout, then unquestionably it's "Five String Serenade" (featured here). A cover of an Arthur Lee song -- for once not a Love-era number, but a then-recent effort -- Roback's delicate acoustic guitar effortlessly brings out its simple beauty. Tambourine and violin add just enough to the arrangement here and there, and Sandoval's calm singing makes for the icing on the cake. 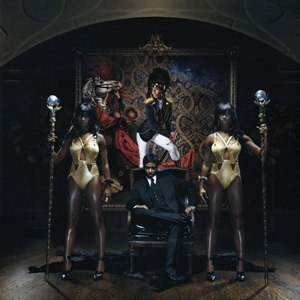 Frontwoman Santi White has taken on the face of Santigold for Master of My Make-Believe, as depicted in the album's artwork, which finds her portraying all four characters (even the mustached man that sits front and center). John Hill continues to co-write, but with White gaining pop star status, he takes the back seat, as they enlist the help of A-list producers Diplo, Switch, Boyz Noise, Buraka Som Sistema, TV on the Radio's Dave Sitek, Ricky Blaze, and Q-Tip. Multi-instrumentalist Greg Kurstin (Beck, Flaming Lips) and the Yeah Yeah Yeahs also make a huge impact on the sound of the record, with Karen O contributing vocals on the leadoff "Go!" and Nick Zinner scattering delicious guitar texture across the tracks. When not dabbling in reggae (like on the Beastie Boys album cameo "Don't Play No Game That I Can't Win"), White -- whose favourite band is appropriately the Smiths -- continues to be masterful at appropriating sparkling '80s arrangements, as seen in "The Keepers," (featured here), a slick song that swipes a melody line from "Little Red Corvette" and incorporates a theme once explored by Talking Heads ("While we sleep, our house is burning down"). While that's no guarantee that the sophomore outing will be as huge a hit as Santigold's breakout, at least it's proof positive that Santi White is settling in for a long ride. Debut album from rising young Irish singer/songwriter probably best known to British audiences for her vocal performances on records by her fellow countryman Damien Rice. Hannigan's quirky, literate, acoustic folk-pop, rich with the backing of strings, brass, and glockenspiel, is more upbeat than Rice's, and is comparable to the work of Kathryn Williams and Juliet Turner. 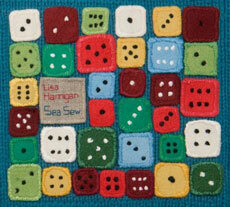 "Lille" (featured here), was the first single from the album, and has you floating away on a sea of loveliness. Although Autobahn was a left-field masterpiece, Trans-Europe Express is often cited as perhaps the archetypal (and most accessible) Kraftwerk album. Melodic themes are repeated often and occasionally interwoven over deliberate, chugging beats, sometimes with manipulated vocals; the effect is mechanical yet hypnotic. 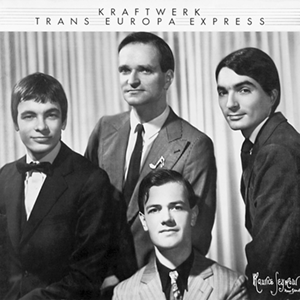 The song "Trans-Europe Express" (featured here) is similar in concept to "Autobahn," as it mimics the swaying motion and insistent drive of a cross-continent train trip. Overall, Trans-Europe Express offers the best blend of minimalism, mechanized rhythms, and crafted, catchy melodies in the group's catalog; henceforth, their music would take on more danceable qualities only hinted at here (although the title cut provided the basis for Afrika Bambaataa's enormously important dancefloor smash "Planet Rock"). 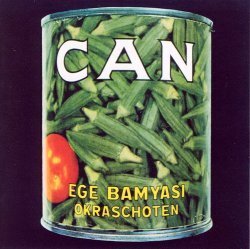 The follow-up to Tago Mago is only lesser in terms of being shorter; otherwise the Can collective delivers its expected musical recombination act with the usual power and ability. Liebezeit, at once minimalist and utterly funky, provides another base of key beat action for everyone to go off on -- from the buried, lengthy solos by Karoli on "Pinch" to the rhythm box/keyboard action on "Spoon". The underrated and equally intriguing sense of drift that the band brings to its recordings continues as always. "Sing Swan Song" (featured here) is particularly fine, a gentle float with Schmidt's keyboards and Czukay's bass taking the fore to support Suzuki's sing-song vocal. As the title says, I've been reminiscing about the good old days today. 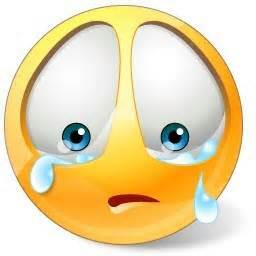 I've listened to all the tunes on here from beginning to end, and come to the conclusion that not contributing to this site has really affected me deeply. With your permission, I'd like to start uploading tracks again. 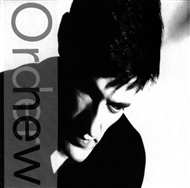 Released in May 1985, Low-Life is considered to be amongst New Order's strongest work, displaying the moment in which the band completed its transformation from post-punk hold overs to dance rock pioneers. The album shows New Order's increased incorporation of synthesizers and samplers, while still preserving the rock aspects of their earlier work. The melodica-led pop song "Love Vigilantes" was the opener, nearly identical as a standout first track to "Age of Consent" from Power, Corruption & Lies. Next was "The Perfect Kiss," (featured here), one of the first major New Order singles to appear on an album. "This Time of Night" and "Elegia" evoked the dark, nocturnal mood of the album's title and artwork, but none could call them mopey when they pushed as hard as they did on "Sunrise." Only "Sub-Culture," tucked in at the end, has the feel of a lost opportunity; remixed for a single release, it became much better. But there was no mistaking that New Order had reached a peak, experimenting with their sound and their style, but keeping every moment wrapped in an unmistakable humanness.